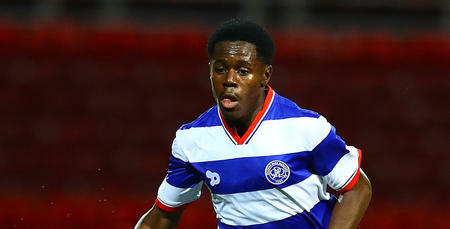 QPR make one change from last league outing. Cousins replacing the injured Scowen. QPR had the better of both the chances and possession against Birmingham City, though were just unable to register their third win in a week. Tomer Hemed, Toni Leistner, Luke Freeman, Nahki Wells and substitute Matt Smith were all presented with good opportunities to give the Super Hoops a first away victory of the campaign. But the spoils were ultimately shared at St. Andrew’s, with Rangers at least rewarded with a point for their hard-working display on the road - and Joe Lumley keeping a second successive league clean sheet. Following last weekend’s 1-0 win over Wigan Athletic at Loftus Road, R’s boss Steve McClaren made one enforced change to his team for this latest Sky Bet Championship fixture. A minor knee injury ruled out Josh Scowen, so Jordan Cousins came into QPR’s starting XI. Meanwhile, there was a spot among the substitutes for new loan capture Geoff Cameron, after his arrival from Stoke City yesterday (Friday). Rangers lined up in a 4-4-2 formation: Lumley; Angel Rangel, Leistner (captain), Joel Lynch, Jake Bidwell; Ebere Eze, Massimo Luongo, Cousins, Freeman; Hemed, Wells. 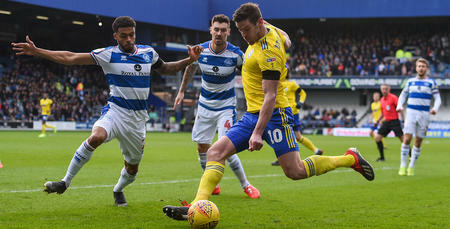 Though both QPR and Birmingham – who included former R’s goalkeeper Lee Camp among their starters – attempted to press forward, clear opportunities were scarce for the first 20 minutes. The first real chance of the game fell for Rangers in the 20th minute. Wells burst away down the right and pulled the ball back for waiting strike partner Hemed on 10 yards, who in turn looped an effort marginally over the target. The R’s then spurned an even-better opportunity 10 minutes later. After Hemed was felled, Freeman’s right-wing free-kick was to a tee for Leistner on 12 yards – but the German could only head over. Following that chance, opportunities again dried up heading into half-time. But Rangers finished the first period on top, enjoying the better of the possession. In fact, QPR’s count was just shy of 60 percent come the interval. Eze also forced Camp into a smart take three minutes before the break, following the former’s low distance effort. Heading into the second half, could the R’s now add a goal to match their territorial advantage? 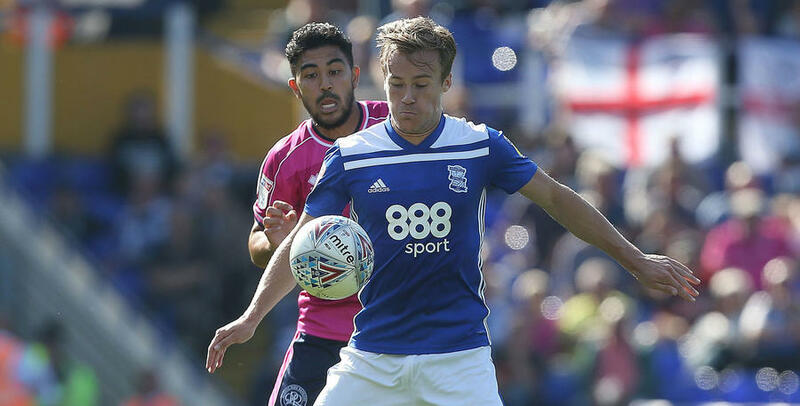 It was hosts Birmingham who called Lumley into action for the first time in the 48th minute, with Lukas Jutkiewicz’s low 16-yard attempt causing the Rangers goalkeeper little trouble. Then, just a matter of seconds later, Hemed sent in a similarly-tame effort at the other end that was easily dealt with by Camp. Rangers went closer in the 57th minute. Leistner’s outstanding cross-field pass was taken on superbly by Hemed, whose touch took him away from his marker. The Israeli international then attempted to curl the ball into the bottom right-hand corner from 12 yards – but Camp stood firm once more to deny the Brighton loan man. The R’s were beginning to knock on the door and, six minutes later, Freeman forced Camp into another low save, following some intricate visiting build-up play. 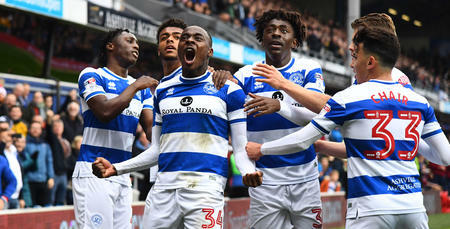 By now, QPR probably should have been ahead – and what followed was a rather-nervy ending, with both sides intent on taking at least a point. Camp was tested again eight minutes from time, saving low from Wells who was teed up courtesy of Rangel’s lung-busting run from the back. Rangers then opted for two late changes, as Wells made way for Smith in the 85th minute, and Cameron was brought on for his R’s debut three minutes later - replacing Hemed. Seconds before four added second-half minutes were signalled, sub Smith struck the post following a Freeman corner. That proved to be the final key moment of note, with the referee eventually calling time on this goalless St. Andrew's affair.